The Consulate of the Sea (Catalan: Consolat de mar; pronounced [kunsuˈlad də ˈmaɾ]) was a quasi-judicial body set up in the Crown of Aragon, later to spread throughout the Mediterranean basin, to administer maritime and commercial law. 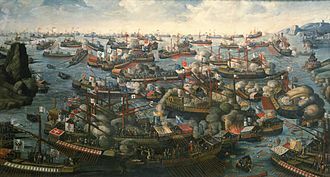 The term may also refer to a celebrated collection of maritime customs and ordinances in Catalan language, also known in English as The Customs of the Sea, compiled over the 14th and 15th centuries and published at Valencia in or before 1494. The Catalan institution can be traced to the grant of the Carta Consular to the city of Barcelona by James I of Aragon in 1258. 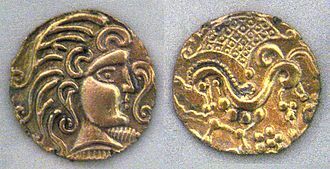 This gave Barcelona merchants the right to settle their commercial disputes without interference from the royal courts: in return, the king received much needed financial support for his wars of expansion. 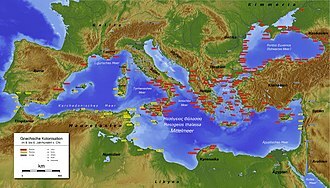 Mercantile Law (ius mercadorium) was becoming established at the same time through much of Europe, and similar bodies had already been established in Messina (first third of the 13th century) and Genoa (1250). The full title in Catalan is Les costums marítimes de Barcelona universalment conegudes per Llibre del Consolat de mar, or "The maritime customs of Barcelona universally known as the Book of the Consulate of the Sea". The earliest extant printed edition of the work (Barcelona, 1494) is without a title-page or frontispiece, but it is described by the above-mentioned title in the epistle dedicatory prefixed to the table of contents. The only known copy of this edition (as of 1911) is preserved in the Bibliothèque nationale de France in Paris. 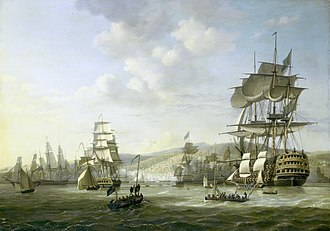 The epistle dedicatory states that the work is an amended version of the Book of the Consulate of the Sea, compiled by Francis Celelles with the assistance of numerous shipmasters and merchants well versed in maritime affairs. According to a statement made by Capmany in his Codigo de los costumbras maritimas de Barcelona, published at Madrid in 1791, there was extant to his knowledge an older edition, printed in semi-Gothic characters, which he believed to be of a date prior to 1484. 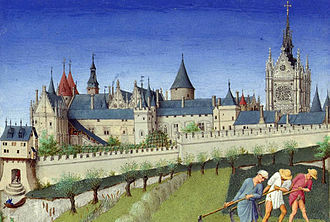 There are, however, two Catalan manuscripts preserved in the Bibliothèque nationale de France, the earliest of which, being MS. Espagnol 124, contains the two first treatises which are printed in the Book of the Consulate of the Sea of 1494, and which are the most ancient portion of its contents, written in a hand of the 14th century, on paper of that century. The subsequent parts of this manuscript are on paper of the 15th century, but there is no document of a date more recent than 1436. The later of the two manuscripts, being MS. Espagnol 56, is written throughout on paper of the 15th century, and in a hand of that century, and it purports, from a certificate on the face of the last leaf, to have been executed under the superintendence of Peter Thomas, a notary public, and the scribe of the Consulate of the Sea at Barcelona. The edition of 1494 contains, in the first place, a code of procedure issued by the kings of Aragon for the guidance of the courts of the consuls of the sea, in the second place, a collection of ancient customs of the sea, and thirdly, a body of rules for the government of cruisers of war. A colophon at the end of these ordinances informs the reader that the book commonly called the Book of the Consulate of the Sea ends here; after which there follows a document known by the title of The Acceptations, which purports to record that the previous chapters and ordinances had been approved by the "Roman" people in 1075, and by various princes and peoples in the 12th and 13th centuries: this is generally regarded as of no historical value. The paging of the edition of 1494 ceases with this document, at the end of which is the printer's colophon, reciting that the work was completed on 14 July 1494, at Barcelona, by Pere Posa, priest and printer. The remainder of the volume consists of what may be regarded as an appendix to the original Book of the Consulate. This appendix contains various maritime ordinances of the kings of Aragon and of the councillors of the city of Barcelona, ranging over a period from 1271 to 1493. It is printed apparently in the same type with the preceding part of the volume. The original Book of the Consulate of the Sea, coupled with this appendix, circulated in Europe under the title, The Consulate of the Sea, and in the 16th century was translated into the Castilian, the Italian, and the French languages. 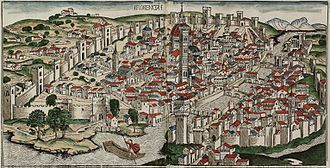 The Italian translation, printed at Venice c. 1549 by Jean Baptista Pedrezano, was the version that obtained the largest circulation in the north of Europe, and led many jurists to suppose the work to have been of Italian origin. In the next century, the work was translated into Dutch by Westerven, and into German by Engelbrecht, and it is also said to have been translated into Latin. An excellent translation into French of The Customs of the Sea, which are the most valuable portion of the Book of the Consulate, was published by Pardessus in the second volume of his Collection des lois maritimes (Paris, 1834), under the title of La Compilation connue sous le nom do consulat de la mer. See introduction, by Sir Travers Twiss, to the Black Book of the Admiralty (London, 1874), which in the appendix to vol. iii, contains his translation of The Customs of the Sea, with the Catalan text. This article incorporates text from a publication now in the public domain: Twiss, Sir Travers (1911). "Consulate of the Sea" . In Chisholm, Hugh. Encyclopædia Britannica (11th ed.). Cambridge University Press. In publishing, a colophon is a brief statement containing information about the publication of a book such as the place of publication, the publisher, and the date of publication. A colophon may be emblematic or pictorial in nature, colophons were formerly printed at the ends of books, but in modern works they are usually located at the verso of the title-leaf. The term colophon derives from the Late Latin colophōn, from the Greek κολοφών and it should not be confused with Colophon, an ancient city in Asia Minor, after which colophony, or rosin, is named. 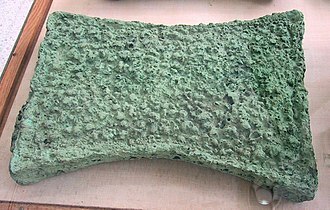 The term is applied to clay tablet inscriptions appended by a scribe to the end of an Ancient Near East text such as a chapter, manuscript. The colophon usually contained facts relative to the such as associated person, literary contents. Colophons and catch phrases helped the reader organize and identify various tablets, colophons on ancient tablets are comparable to a signature line in modern times. Bibliographically, they closely resemble the imprint page in a modern book. Examples of colophons in ancient literature may be found in the compilation The Ancient Near East, Supplementary Texts, colophons are found in the Pentateuch, where an understanding of this ancient literary convention illuminates passages that are otherwise unclear or incoherent. An extensive study of the eleven colophons found in the book of Genesis was done by Percy John Wiseman. C. sometimes additional information, such as the name of a proofreader or editor, or other more-or-less relevant details, might be added. A colophon might be emblematic or pictorial rather than in words, the normal position for a colophon was after the explicit. After around 1500 these data were transferred to the title page. Colophons sometimes contained book curses, as this was the one place in a medieval manuscript where a scribe was free to write what he wished, such curses tend to be unique to each book. In Great Britain colophons grew generally less common in the 16th century, in some parts of the world, colophons helped fledgling printers and printing companies gain social recognition. The Parliament of Catalonia is the unicameral legislature of Catalonia. It is formed by 135 members, who are elected every four years or after extraordinary dissolution, chosen by universal suffrage in lists with four constituencies, the Parliament building is located in Ciutadella park, Barcelona. The most recent parliamentary elections were held on 27 September 2015, the first representative and legislative bodies in Catalonia were the Peace and Truce of God Assemblies, of which the earliest record dates from 1027. These were originally ad hoc, local meetings convened by the Church, the first Catalan legal code, the Usatges de Barcelona, was promulgated by Count Ramon Berenguer I based on the decisions of these assemblies. Their personal resources were insufficient in periods of economic crisis or military expansion. The need to secure troops and revenue led to the expansion of the royal court. 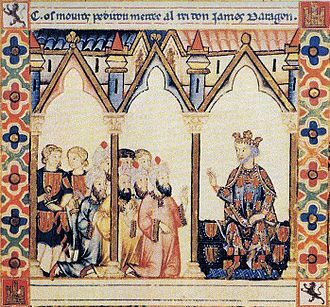 The Corts Catalanes were composed of Three Estates, representing the Church, the feudal nobles, inhabitants of feudal towns were not represented, except by their overlords. The main function of the Corts was legislative, either in approving laws proposed by the King or at their own initiative. Although the Corts met at irregular intervals, it formally approved the acts of the King between their sessions and, from 1359, established a permanent delegation to oversee the Crown. The Catalan Courts were abolished by the Nueva Planta decrees in 1716 after Catalonias defeat in the War of the Spanish Succession, there were several attempts in the early 20th century to institute an autonomous system of representation for Catalonia. The republican Parliament remains exiled since 1939, after the death of the dictator and the progressive restoration of democracy, the new Statute of Autonomy of Catalonia of 1979 recognized the restoration of the Parliament. The first legislature of the current Parliament of Catalonia was elected in 20 March 1980, to elect the President of the Generalitat de Catalunya. To pass the Catalan legislation in the business of its competence, to pass the Budget of the Autonomous Community of Catalonia. A chamber of commerce is a form of business network, for example, a local organization of businesses whose goal is to further the interests of businesses. Business owners in towns and cities form these local societies to advocate on behalf of the business community, local businesses are members, and they elect a board of directors or executive council to set policy for the chamber. 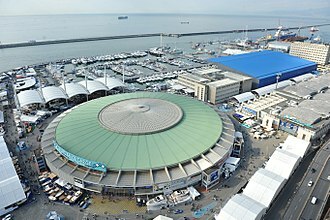 The board or council hires a President, CEO or Executive Director, plus staffing appropriate to size, the first chamber of commerce was founded in 1599 in Marseille, France. Another official chamber of commerce would follow 65 years later, probably in Bruges, Hull Chamber of Commerce is the UKs oldest, followed by those of Leeds and of Belfast in Northern Ireland. As a non-governmental institution, a chamber of commerce has no role in the writing and passage of laws. It may however, lobby in an attempt to get laws passed that are favorable to businesses, membership in an individual chamber can range from a few dozen to well over 800,000, as is the case with the Paris Île-de-France Regional Chamber of Commerce and Industry. Some chamber organizations in China report even larger membership numbers, Chambers of commerce can range in scope from individual neighborhoods within a city or town up to an international chamber of commerce. In addition, Chambers represent the interests of businesses, while the BBB represents both the interests of businesses and the general public, some Chambers are partially funded by local government, others are non-profit, and some are a combination of the two. Chambers of commerce can include economic development corporations or groups as well as tourism, some chambers have joined state and even international bodies. Currently, there are about 13,000 chambers registered in the official Worldchambers Network registry, and this network is informal, with each local chamber incorporated and operating separately, rather than as a chapter of a national or state chamber. Chambers of commerce in the United States can be considered community, regional, city Chambers work on the local level to bring the business community together to develop strong local networks, which can result in a business-to-business exchange. A sea captain is a high-grade licensed mariner in ultimate command of the merchant vessel. 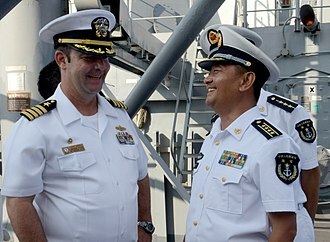 A ships captain commands and manages all ships personnel, and is typically in charge of the accounting, payrolls. The captain is responsible for responding to and reporting in case of accidents and incidents, the captain ensures that the ship complies with local and international laws and complies with company policies. One of a particularly important duties is to ensure compliance with the vessels security plan. The security plan covers such as refugees and asylum seekers, smuggling. On ships without a purser, the captain is in charge of the ships accounting and this includes ensuring an adequate amount of cash on board, coordinating the ships payroll, and managing the ships slop chest. On international voyages, the captain is responsible for satisfying requirements of the local immigration, customs requirements can include the master providing a cargo declaration, a ships stores declaration, a declaration of crewmembers personal effects, crew lists and passenger lists. The master acts as a liaison to local investigators and is responsible for providing complete and accurate logbooks, statements, specific examples of the ship causing external damage include collisions with other ships or with fixed objects, grounding the vessel, and dragging anchor. Some common causes of damage include heavy weather, water damage, pilferage. 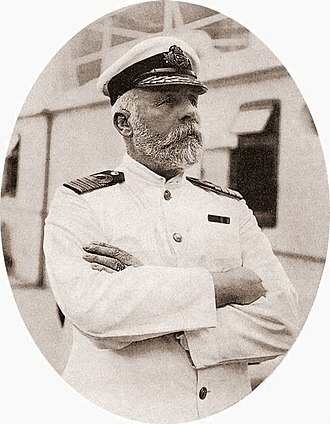 There is a belief that ship captains have historically been. In most countries of ships registry, ship captains are not, the United States Navy defined a captain’s powers in its 1913 Code of Regulations, specifically stating, The commanding officer shall not perform a marriage ceremony on board his ship or aircraft. New Jerseys 1919 Bolmer v. Edsall said a shipboard marriage ceremony is governed by the laws of the nation where ownership of the vessel lies. In the United Kingdom, the captain of a merchant ship has never permitted to perform marriages. In other countries of ships registry, the situation varies. Most do not permit performance of a marriage by the master of a ship at sea, japan allows ship captains to perform a marriage ceremony at sea, but only for Japanese citizens. The Catalan constitutions were the laws promulgated by the King of Aragon and Count of Barcelona and approved by the Catalan Courts. The Corts in Catalan have the origin as courts in English. The first constitutions were promulgated by the Corts of 1283, the last ones were promulgated by the Corts of 1705. They had pre-eminence over the legal rules and could only be revoked by the Catalan Courts themselves. The compilations of the constitutions and other rights of Catalonia followed the Roman tradition of the Codex, the first compilation was prescribed by Ferdinand I of Aragon, and suggestion by the Corts of Barcelona from 1413. It spread in edition of the 1495, together with the Usages of Barcelona, Usatges of Barcelona, constitutions and acts of court and other laws of Catalonia. This series of decrees abolished the laws of the territories that supported his rival to the throne, the Archduke Charles of Austria. The Decretos attempted to make Spain into a state on the model of France. These acts were promulgated in Valencia and Aragon in 1707, and were extended in 1716 to Catalonia, the Catalan Constitutions were effectively abolished by the Kings authority after his military victory, rather than through any legislative process within Catalonia itself. Any such act is known as a notarization. The term notary public only refers to common-law notaries and should not be confused with civil-law notaries, Notaries are appointed by a government authority, such as a court or lieutenant governor, or by a regulating body often known as a society or faculty of notaries public. For lawyer notaries, an appointment may be for life, while lay notaries are usually commissioned for a briefer term, in most common law countries and their number for a given notarial district are highly regulated. To these documents a notary affixes a notarial certificate which attests to the execution of the document, usually by the person who appears before the notary, originals or secondary originals are filed and stored in the notarys archives, or protocol. Notaries are generally required to undergo training in the performance of their duties. Some must first serve as an apprentice before being commissioned or licensed to practice their profession, notaries public in the U. S.
Notarial practice is universally considered to be distinct and separate from that of an attorney. In England and Wales, there is a course of study for notaries which is conducted under the auspices of the University of Cambridge and the Society of Notaries of England and Wales. In bi-juridical jurisdictions, such as South Africa or Louisiana, the office of notary public is a profession with educational requirements similar to those for attorneys. Many even have institutes of learning that offer degrees in notarial law. Therefore, despite their name, notaries public in these jurisdictions are in civil law notaries. Notaries public hold an office which can trace its origins back to the ancient Roman Republic, the history of notaries is set out in detail in Chapter 1 of Brookes Notary, The office of a public notary is a public office. It has a long and distinguished history, the office has its origin in the civil institutions of ancient Rome. A writer who adopted the new method was called a notarius, originally, a notary was one who took down statements in shorthand using these notes, and wrote them out in the form of memoranda or minutes. 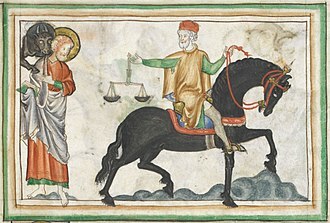 Lex mercatoria, often referred to as the Law Merchant in English, is the body of commercial law used by merchants throughout Europe during the medieval period. It evolved similar to English common law as a system of custom and best practice and it functioned as the international law of commerce. It emphasised contractual freedom and alienability of property, while shunning legal technicalities, a distinct feature was the reliance by merchants on a legal system developed and administered by them. States or local authorities seldom interfered, and did not interfere a lot in internal domestic trade, under lex mercatoria trade flourished and states took in large amounts of taxation. In the last years new theories had changed the understanding of this medieval treatise considering it as proposal for reform or a document used for instructional purposes. 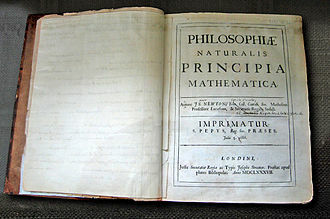 These theories consider that the treatise cannot be described as a body of laws applicable in its time, the text is composed by 21 sections and an annex. The sections described procedural matters such as the presence of witnesses, the lex mercatoria was originally a body of rules and principles laid down by merchants to regulate their dealings. It consisted of rules and customs common to merchants and traders in Europe and it originated from the need for quick and effective jurisdiction, administered by specialised courts. International commercial law today owes some of its principles to the lex mercatoria. This includes choice of arbitration institutions, applicable law and arbitrators and services flowed freely during the medieval merchant law, thus generating more wealth for all involved. It is debated whether the law was uniform in nature, was spontaneous as a method of dispute resolution, the lex mercatoria was a means for local communities to protect their own markets. Local kings or lords extracted taxes and set trade restrictions, in 1303 Edward I issued the Carta Mercatoria, a charter to foreign merchants in England, which guaranteed them freedom to trade, with certain protections and exemption under the law. The Cathedral of Santa María del Romeral. Clay tablet: dictionary with colophon indicating storage emplacement in a library. From Warka, ancient Uruk, mid 1st century BC. On display at the Louvre. Lord Mansfield was a champion of fusing lex mercatoria with the common law.